Not everyone gets the opportunity to teach science at the secondary level. Katherine Joyner grabbed the chance more than 5 years ago at West Baltimore’s Carver Vocational-Technical High School after finishing her doctoral work in Pharmaceutical Sciences at the University of Maryland School of Pharmacy (UMSP). Now a postdoctoral fellow in Bioengineering with Dr. Gregg Duncan, Joyner looks back at her nearly 4 years of teaching as a transformational experience that prepared her for academia in a number of ways. “I had been mentoring in schools and doing a lot of community work in West Baltimore. I got to know some educators, and in one particular school they needed a science teacher. I felt connected to the people in that neighborhood, and felt supported enough to try teaching. It was very cool and a nice break from research science. It also gave me a chance to work further in the community, which was something I really wanted to do,” recalls Joyner. But this is only half the story. Joyner is also the pride of Maryland’s educational system. She grew up in Havre de Grace, and went on to study biology at Notre Dame of Maryland University. “I had some great teachers and Havre de Grace’s school was center of our world. We had school and we had church,” says Joyner. She and her younger brother were expected to follow a long line of family members who went on to pursue higher education. Joyner’s mother studied biology on the way to a successful nursing career, her grandfather was a star football player at Rutgers University and a leader at the Social Security Administration (SSA), and her grandmother also had a successful run at SSA. “A lot of people have been down this road, so I never questioned it. I was blessed in that regard,” observes Joyner. While an undergraduate, Joyner had the opportunity to do research at University of Maryland School of Pharmacy, setting the stage for her subsequent doctoral work on biomaterials for drug delivery. Her enterprising father was also an important influence. “When my father retired from the military, he became a barber. His mother was a barber in the same house we grew up in--the shop was in the basement. He owned a lot of businesses over the years, including an assisted living service for veterans. He was always extremely social, and he knew how to talk to people. Even now, he knows everyone’s story, and is always willing to do new things and chat with people. As a teenager, I really didn’t appreciate that, but now I am extremely grateful for his example,” says Joyner. In 2008, Joyner started her PhD at UMSP. Beyond her research, she was a Graduate School Senator and the Chair of the American Association of Pharmaceutical Scientists (AAPS) Student Chapter at the University. She made an effort to create a well-rounded doctoral experience for herself, despite the intense focus on her dissertation. In 2012, Joyner had the opportunity to do research at the U.S. Army’s Aberdeen location Oak Ridge Institute for Science and Education (ORISE). She worked on a project that investigated engineered bacteriorhodopsin for biosensing and solar cell applications. In a layperson's terms, she used proteins to build nanosensors. It was a chance to work in a different laboratory environment, meet new colleagues, and learn new skills. Even with her assignment at ORISE and other commitments, Joyner finished her PhD in 5 years. “Katherine Joyner published two first-author papers during her graduate study. She was also the coauthor of a third paper, published after her graduation. She was first to graduate among her fellow graduate students who entered our PhD program the same year. After graduation, Katherine worked as a high school science teacher for a few years. She then decided to return to laboratory research as a postdoctoral fellow. I applaud her determination in pursuing a research career,” says Dr. Bruce Yu, former mentor to Joyner and professor of Pharmaceutical Sciences at the University of Maryland School of Pharmacy. 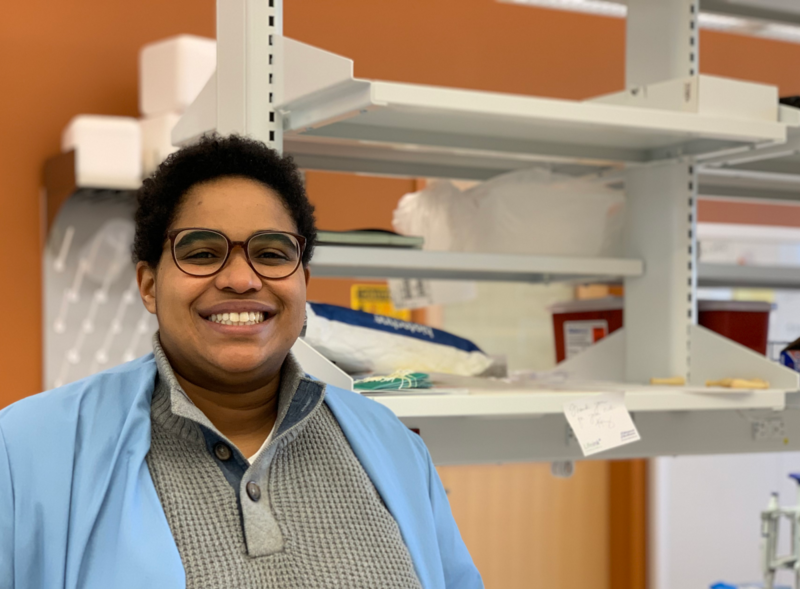 With her newly minted doctorate in hand, Joyner accepted the call from Carver to teach chemistry and biology, knowing that she would eventually return to research, and do a postdoc somewhere. “I thought I was going to revolutionize science education, but in the end I did not. Maybe I changed the narrative a little bit. I lived close to the school around Mondawmin, and did it all,” recalls Joyner. She taught robotics, Advanced Placement Biology, ran science clubs, wrote chemistry curriculum for Baltimore City, and coached JV basketball. On Sundays, she volunteered at the YMCA. After school, Joyner also worked as a STEM Achievement in Baltimore Elementary Schools (SABES) mentor. Started in 2012, this NSF-funded collaboration between Baltimore City Public Schools and Johns Hopkins University was developed to improve educational outcomes in STEM disciplines throughout Baltimore City’s elementary schools. Joyner's role as a SABES mentor took her to the U.S. Dream Academy in Baltimore, where she coached third graders and their families on STEM projects. “As newly minted teachers, Katherine and I naively thought our primary roles were creating an anatomy curriculum and delivering the content to rambunctious ninth graders. We quickly realized that teaching in an underserved urban community has more obstacles than an underdeveloped curriculum and a lack of resources. We learned that an effective educator in these settings requires more than just teaching, but the assumption of multifaceted roles including guidance counselor, role model, and a mentor. Over the years working with Katherine, I saw her transform into an empathetic, impactful confidant for many students and their families. Her love and support were evident in the classroom, on the long weekends at robotics competitions, or just being present at extracurricular activities. For many students, the school was their second home, and for Katherine it was her second family,” observes Chelsea Guest, Joyner’s former co-teacher and current Biology Department Lead Teacher at the KIPP DC College Preparatory High School. “I recently started reflecting on that time. I thought I knew a lot. I did a lot of high level science, but teaching science was a different animal altogether. I tried to be a really good teacher; be there daily, be present, bring new science, advocate for lab work, all of which made for a brutal lifestyle as a teacher. I was always trying to push that--getting the students dirty. I thought this is what I could do differently. I made a mess and was constantly cleaning, but the students liked it. They were really engaged,” remembers Joyner. “There were so many great things about teaching, for me personally. It was a transformative experience. I was no longer a minority in the system, because up to that point I had been. It was a huge cultural shift,” she adds. 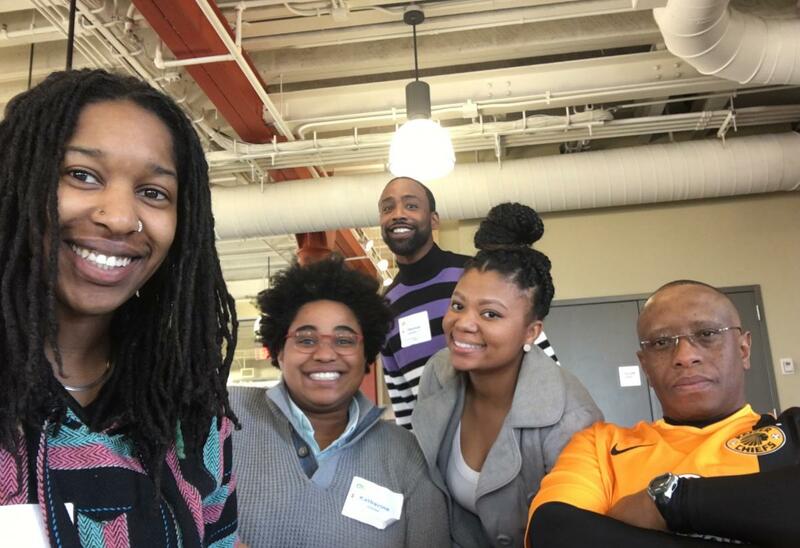 During the summers, Joyner taught for eight weeks at Johns Hopkins University’s Center for Talented Youth, a gifted and talented program for pre-college students. “It was interesting because developmentally, the students were exactly like those in West Baltimore. I taught the same lessons there. The divergence was less in the students, and more in the system. In Baltimore City, they may need a little more support, but our students at Carver were right there with the kids from elite private schools. No difference whatsoever. We just need to keep working on the STEM pipeline, especially in public education. We need to engage parents and students, and the earlier the better,” remarks Joyner. “With parents, it was always about keeping them informed and interested. I saw parents as my colleagues, we were just working together, and trying to build a community. There is a huge buy-in into science education early in your life. It’s family, friends and your school that expose you (or not) to it,” she adds. When Joyner made the decision to return to research, beyond her academic strengths, it was her background in science education and mentoring that appealed to her advisor. She was the first postdoc in the Duncan lab, and part of that was working with 4-5 undergraduate students at a time. “Our lab is unique in that Gregg encourages each student to have their own project, as opposed to just working on a senior member’s project. So my teaching experience, among many things, helped me learn how to build ideas with students in a collaborative manner. I start by showing them how to do microrheology experiments and then support each student in their project by answering or asking questions, and offering some ideas,” says Joyner. She credits her ability to lead this ‘on-boarding’ process to her time at Carver. There Joyner learned greater openness, empathy, humility, and gained confidence in her communication skills-–all of which support her interest in building a more supportive and collaborative scientific community. Joyner is also very focused on a faculty career. Currently a Cystic Fibrosis Foundation Postdoctoral Fellow, she hopes to apply for the prestigious National Institutes of Health’s K99 Pathway to Independence Award. Joyner’s current cystic fibrosis (CF) research focuses on mucushydrogel dysfunction’s relationship to CF lung disease and possible new therapeutic approaches. As Joyner walks into the lab every day and chips away at this project, the experience at Carver now seems like a lifetime ago. And yet, the students, the families, the colleagues, and the science education issues remain close to her heart. Her time in West Baltimore’s classrooms left her personally and professionally affected. Joyner began to grasp the complexities of the human experience--the joys and complications of its challenges, and the issues young people face on a daily basis. She met amazing students, parents, administrators, and she was exposed to the systems and processes that either supported or failed to serve their needs. And with knowledge, comes responsibility. For Joyner, this means continuing to be a good steward of those sacred experiences, and advocating for K-12 science education where possible. “I’d like to incorporate science education into my faculty role. 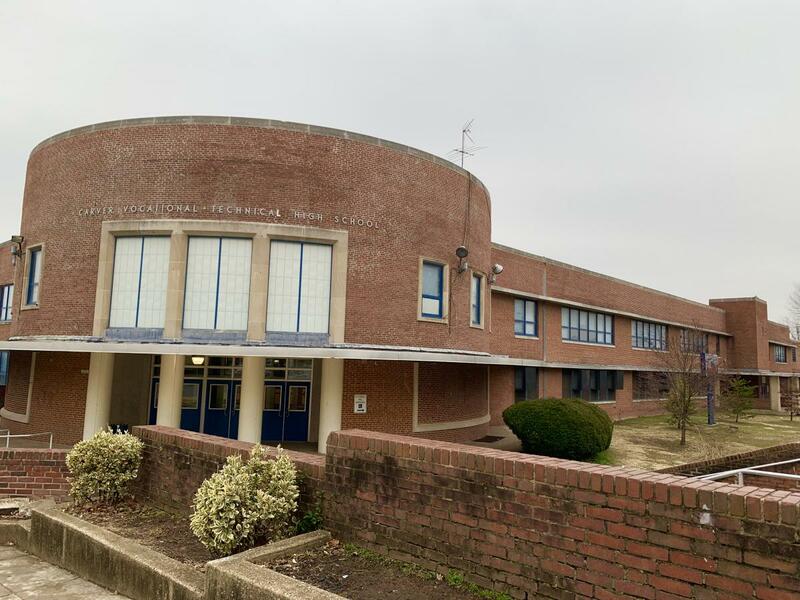 It is really important for students and teachers to see models of success--especially from the West Baltimore to College Park road-–an institution, like others, that was predominantly white for a long time. As a department and as a university we have to recognize that we house ‘experts’ in the field, and that we need to make ourselves more accessible to the community,” observes Joyner. “To do that we have to develop sustainable relationships with K-12 teachers, families and students. And as our undergraduate and graduate STEM programs at the institutional (and national) level evolve, I’d like to be a voice in the room for science education, and how we researchers can impact the early and critical years, and work together to provide more support along the way,” concludes Joyner. More information about Katherine Joyner can be found here.